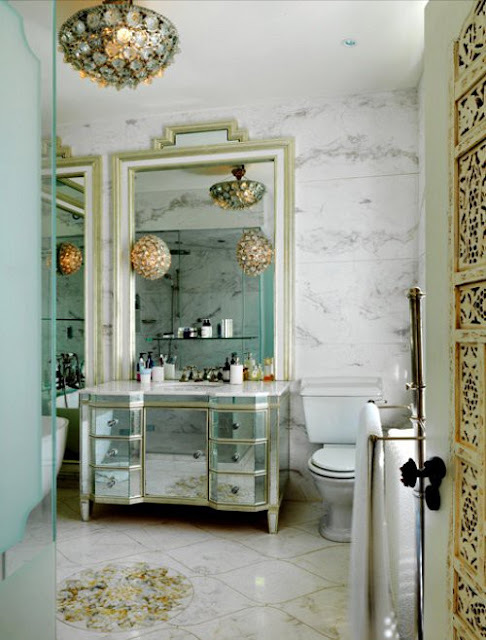 By now I am guessing you know that I love mirrored vanities (here`s part 1 & part 2)! 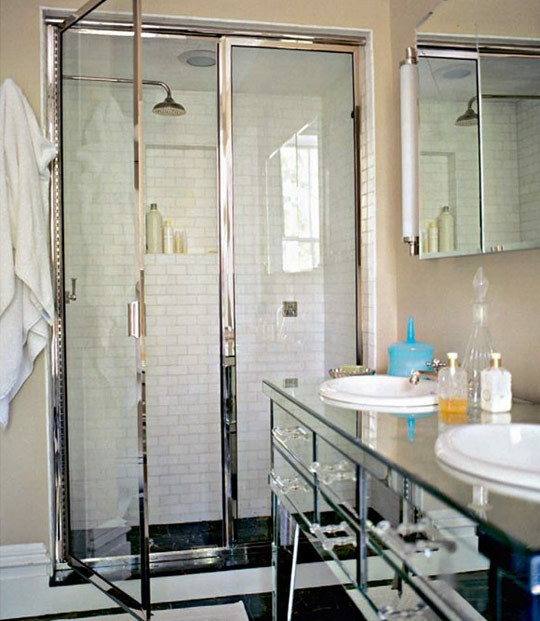 This modern pink tinted mirrored vanity is one of my favs. 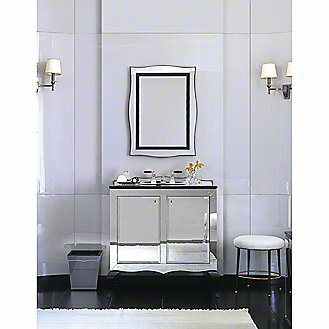 I love the girly accent of the pink mirror doors combined with the sleek, simple modern lines of the vanity. 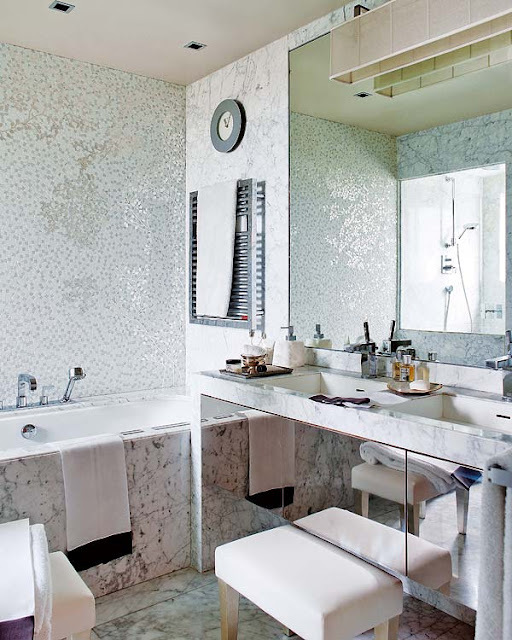 This bathroom is just the perfect take on modern glamorous. 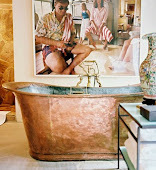 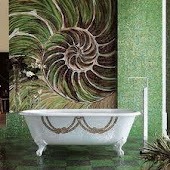 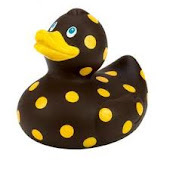 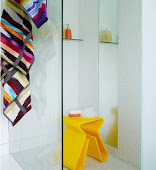 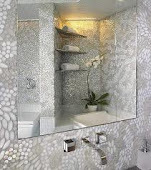 The shimmery tub wall is fantastic - I`d love to have a dress made with the pattern on the wall. 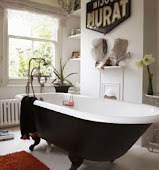 The sharp lines of the rectangular under mount sink look great and of course I went gaga over all the delicious marble! 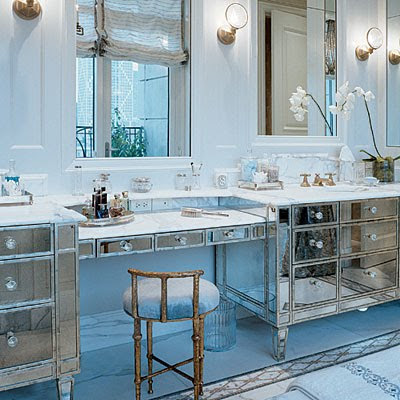 mirrored countertop looks, I can just imagine the maintenance to keep it clean. 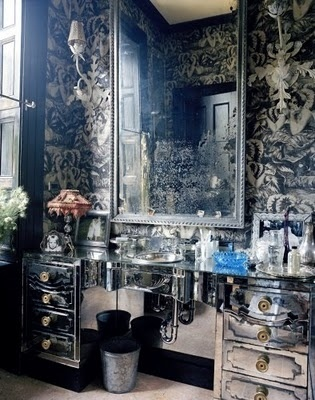 Or maybe you`d rather an antiqued looking mirrored vanity? 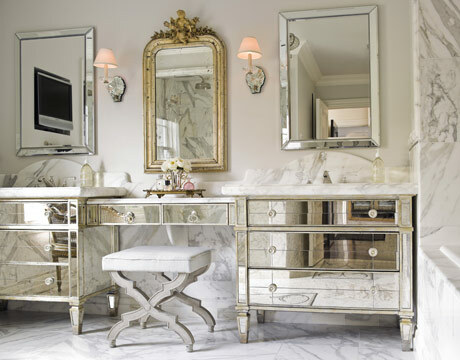 Which style of mirrored sink vanity is your favourite? 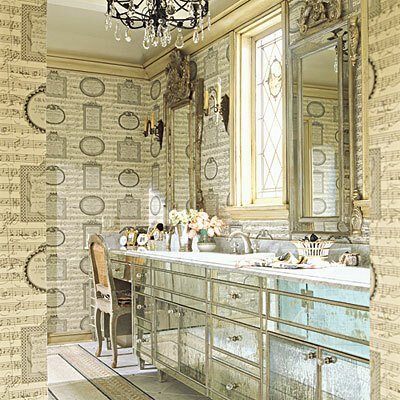 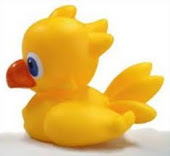 Here`s part 1 and part 2 of my mirrored vanity posts. 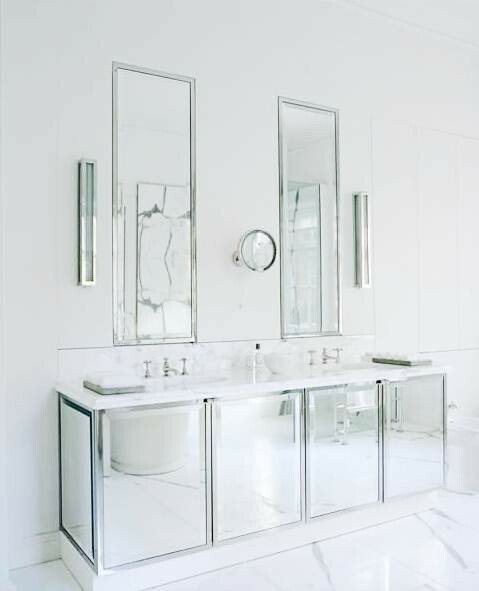 Part 1 has a bunch of different mirrored vanities and Part 2 has vanities that are mirrored, but are not 100% mirrored so they are easier to maintain, great if you love the look of mirrored vanities but can`t stand all the maintenance! 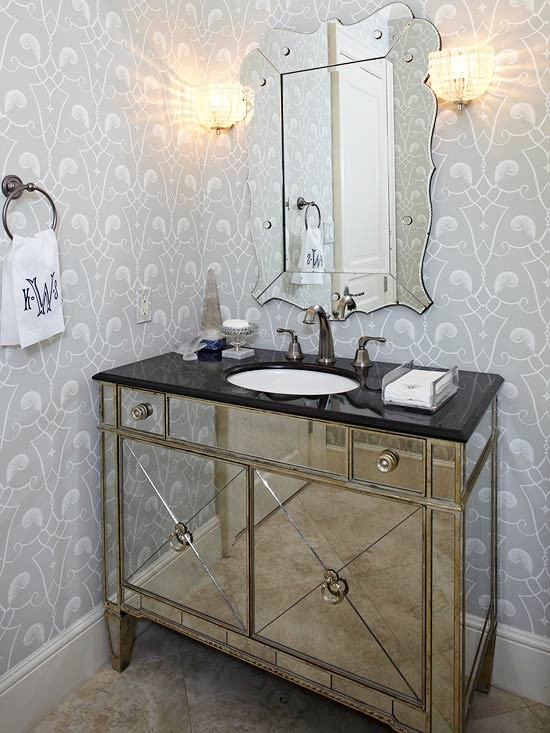 I`m sure this won`t be my last mirrored vanity post...well actually I already have a steal that look post featuring a mirrored vanity that I will be posting soon!